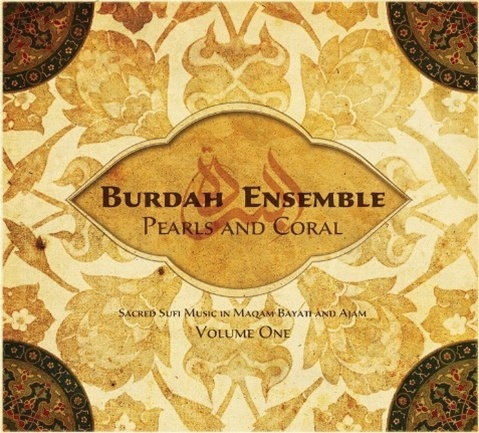 The Sufi inspired vocal group, the Burdah Ensemble (founded in 2009 in Montreal) produced some of the most beautiful sacred Sufi music in contemporary time. Their music is a journey, for each listener to travel along the different caravan trails that lead to the presence of the beloved. To kneel at the beloved’s threshold and inhale the sweet fragrance of the exalted Rawda (paradisal garden). The center of this sacred music is the chanting in different Maqamat (music levels), for it is this that expresses the richness and nuance of Arabo Andalus and Near Eastern music. Each Maqam is a semi improvised recitation of poetry experienced within a ritualized structure that oversees the application of melodies, structure, rhythm and the type of poetry. There are dozens of Maqams, and countless numbers lost in the sands of time. Each Maqam has a different spiritual character which conveys a mood, and the reciter must enter a state of deep spiritual exaltation, distilling the spiritual essence of the maqam, leading the listeners to states of joy and ecstasy and enraptured in a deep web of connection with the Musical Ensemble. 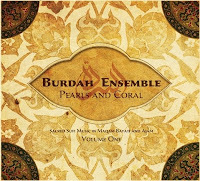 The Burdah Ensemble's first studio album is "Pearls & Coral Vol 1," featuring 8 full-length songs that are made up of multiple ascending maqams. The album is a beautiful journey to the spiritual world of enlightnment and Divine praises. From this album one song became very popular thanks to its full length sharing on Youtube titled "Madad Madad (Maqam 13)." The lyrics of the song is exquisite and if you follow its lyrics while watching on youtube and if you know about whom this song is sung, you cant help but feel in your heart its beauty and if you're lucky something else may move within that very heart, if Allah moves by His Will. I have shared its lyrics along with part of the song's original Arabic lyrics (thanks to J. M. and her friends to collect it, Allah reward them all) at the end of this post. Click on the image below to watch and listen to this song on Youtube. 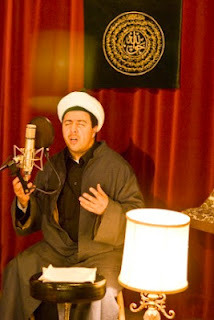 The Music Video is made with scenes from Naqshbandi Sufi Centre, Montreal, Canada. Here is the lyrics of the song along with approximate Arabic transliteration. The end part needs further work as I could not collect the original words unfortunately. [+] Download mp3 version for private listening only: Visit Facebook page of Technology of the Heart to download this song as mp3 file. 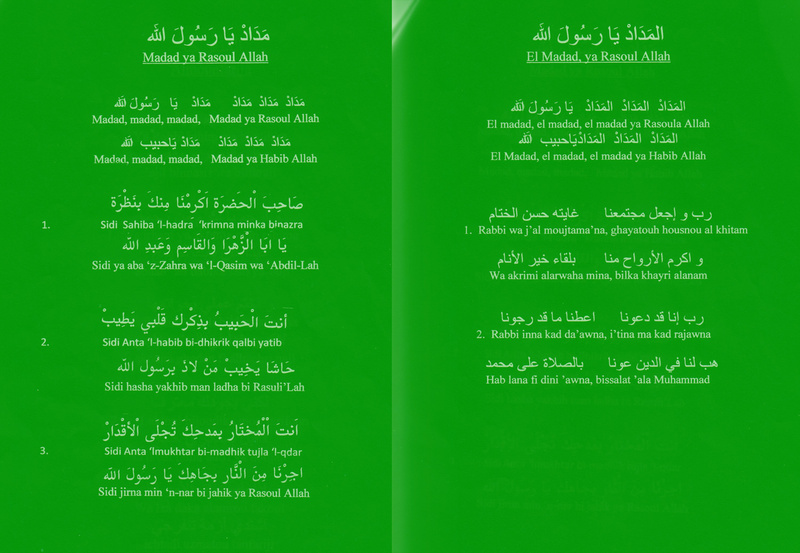 Lyrics and English Translation of "Madad Madad" by The Burdah Ensemble at Technology of the Heart. Beautiful Praise.